Dr. Carter purchased Dayton Animal Clinic, LLC in 2003. 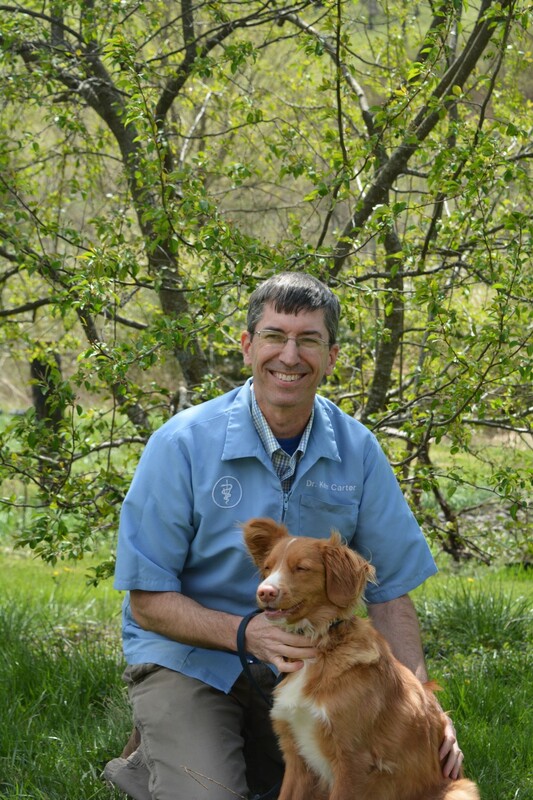 He graduated from the Virginia Maryland Regional College of Veterinary Medicine in 1990 and practiced large and small animal medicine in the midwest before moving back to Virginia. Dr. Carter grew up on a farm in Lancaster County, Virginia and currently lives on a farm in Augusta County with his wife, Lisa. He has three adult children. Dr. Carter has two dogs named Sadie and Cassie and several chickens. When Dr. Carter is not at the clinic, he loves to spend his time outdoors, working on his farm, hunting, canoeing, and planting trees. Dr. Herr is a graduate of Michigan State University. You will find her at our clinic on Monday and Tuesday as well as other days as needed. Dr. Herr and her husband, Jim, live in Rockingham County.